@I Am Captain Obvious, couldn't have said that better myself capt. @I Am Captain Obvious, I agree with you in every regard. Its hard to stop something thats so accessible and readily available. My school had an opioid and pill problem yet did nothing at all to stop it. I saw so many good kids and friends fall to that addiction yet no action was taken. Not on the school, kids or even parents side. It easy to say they have a choice but they're just kids. Most of them can't even decide what to wear in the mornings. The most anybody can do in a situation like this is provide information or experience. Not lying or scare tactics just true information about said topic. Sorry for poor grammer and sorry for rant TLDR: You can lead a horse to water but you can't make it drink from it. 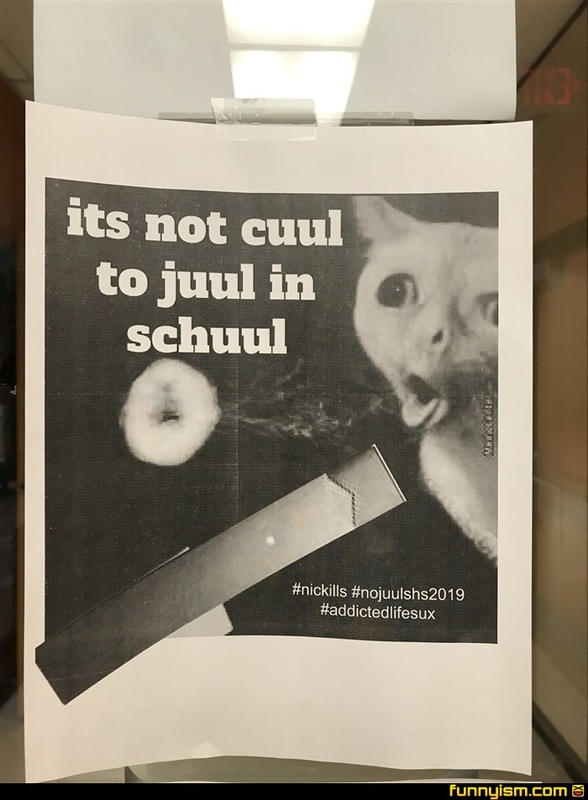 Juul is too cuul for schuul.